On the ground or in litter in wet eucalypt forests of south-west WA. 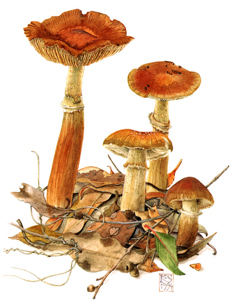 The very slimy cap is initially purple-brown but ages to brown. 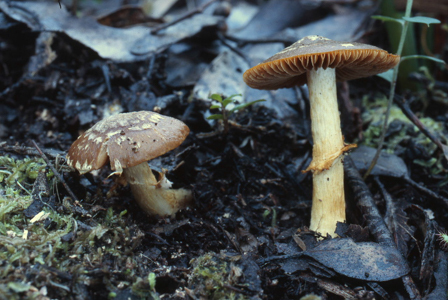 Small white patches of veil remnants are found on young caps. Other characteristics include the impressive membranous striate ring on the stem and rusty-brown gills and spore print. Generously sponsored by Sue McLean.